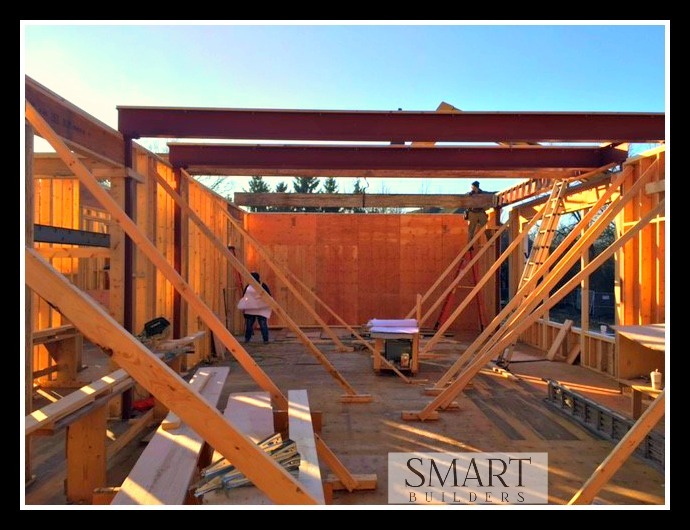 Smart Builders is pleased to share the progress of our custom home project in Lake Forest. Construction of this Lake Forest custom home is moving up to the second floor. These pictures show the floor joists being installed for the second floor. What is a floor joist? Floor joists are an important part of the supportive structure of a floor. They hold up the weight of a building, absorb impacts on the floor, and create structural support so that the floor will be stable and secure. Joists are installed at a very early stage in the building process, and many people never see them, unless they are involved in remodeling and construction projects. These structural elements of a building make up part of the subfloor, the structure that goes underneath the flooring that people walk on. Subfloors are designed to provide support to the flooring, and to make the building itself more rigid and stable so that it will withstand years of heavy use. Joists are typically run perpendicular to beams, and they connect with the supportive framework of the structure to reinforce it. Check back often for information and pictures of our current projects in Glenview, Lake Forest, Arlington Heights, and Barrington. 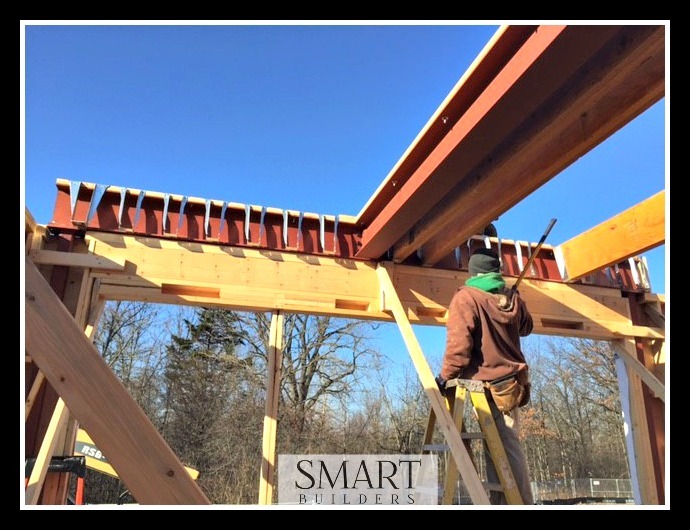 Contact Smart Builders if you are considering building a new home or have a new construction project in Chicago’s Northwest Suburbs or Chicago’s North Shore neighborhoods.